River Wild safaris – 4 hours of absolute fun! Looking for something really fun to do this December? 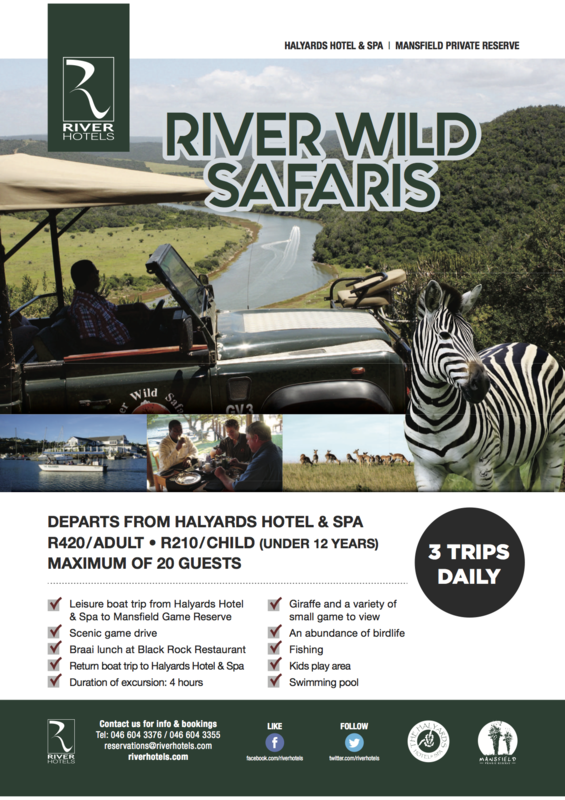 Why not book a River Wild Safaris excursion with our friendly neighbours at the Halyards Hotel and Spa? It includes a boat cruise to Mansfield Private Game Reserve, scenic game drive, a braai at Black Rock Restaurant and a boat cruise back to the Halyards Hotel. See more info below, call 0861 748 374 or visit the hotel website to book! Previous PostHome Away From HomeNext PostValentine’s weekend on the water!